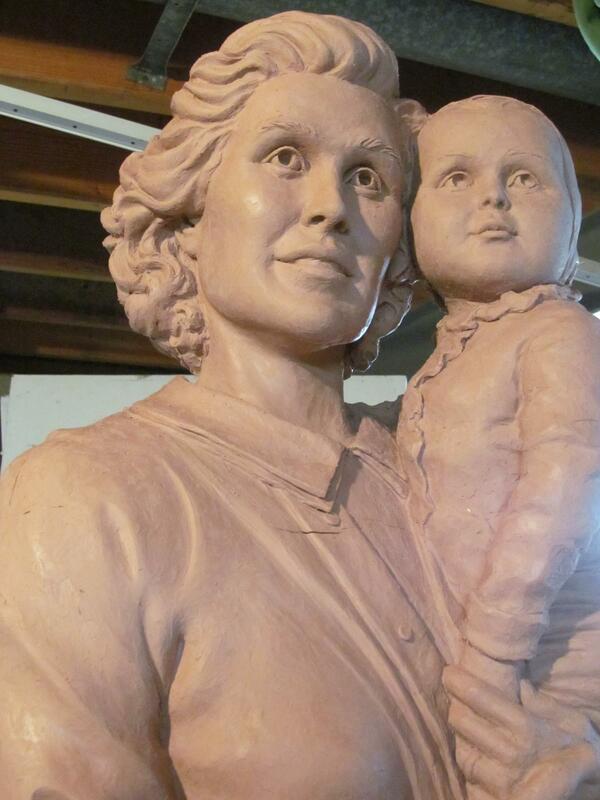 Life-size bronze of St. Gianna Beretta Molla, was dedicated and blessed by Archbishop Robert J. Carlson of St. Louis, MO and Reverend Timothy Elliott in September 2014. 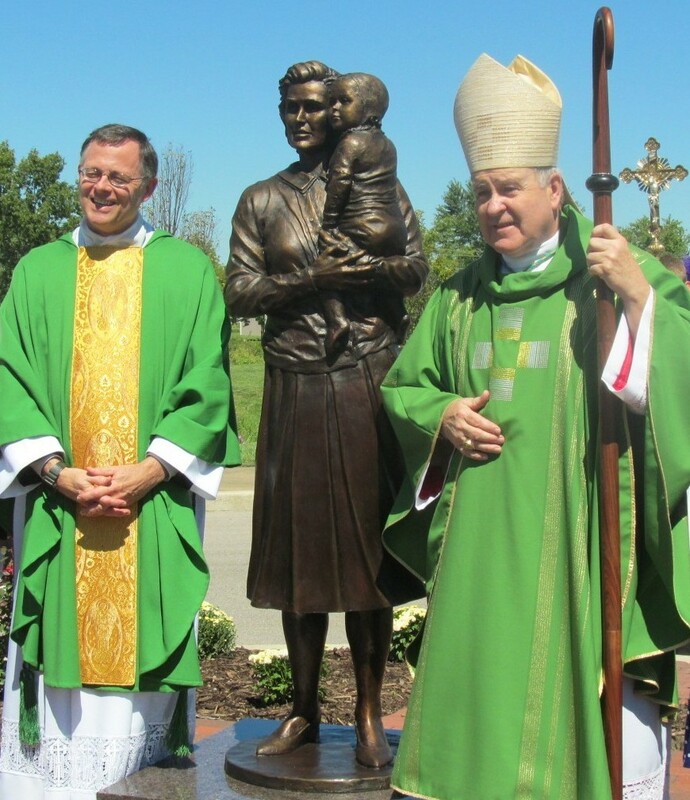 The sculpture was created referencing actual photographs of this modern day saint. All of my sculptures are first sculpted in clay.